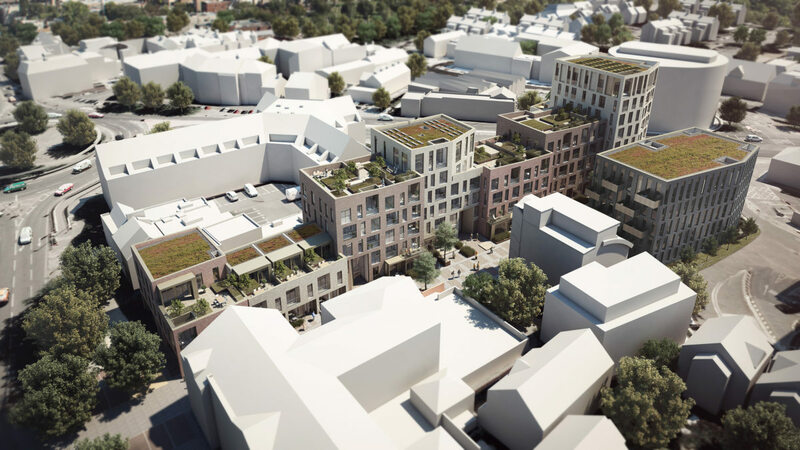 Alison Brooks Architects achieved a resolution for planning consent for a mixed use scheme for the Unex Group, on a difficult urban site at Severn Place, off Newmarket Road in Cambridge. The project presents new urban housing as a device for reinstating diversity, complexity and resilience into an area of urban sprawl. The site is within a quintessentially suburban context: a shopping mall and office park, surrounded by major traffic intersections.